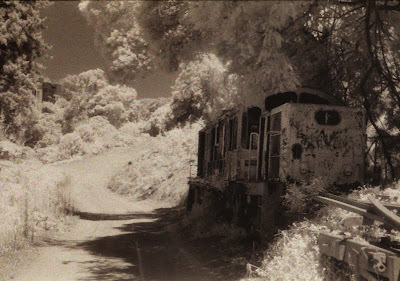 This train is one of the abandon trains you see in the NZ move 'What becomes of the broken hearted'. Happy Pola New Year all. I hope that everyone is going well. I spent most of my spare time during the holidays changing this site template and also Polaroid Beginners Guide. It sums up everything that I've learned from using polaroid film, mistakes I've made, tips and tricks I've learned. Its not really written for experts and hopefully its simply enough so that people can easily get started using this awesome photographic medium. I've been a bit too busy at the moment to take photos - but I hope I'll get the chance this year. In the mean time, I hope to be adding more stuff to the beginners guide here. Labels: parahanga, polaroid beginners guide.